This glimpse of spirit is from my own experience. It was a sacred moment that shifted my outlook on life. My dear friend Patricia Wickman is a gifted healer and Ayurveda practitioner. Panchekarma is an ancient and gentle cleansing practice integral to ayurvedic medicine. She has guided me thru the process on multiple occasions. In this practice, you gently fast and cleanse your body for almost a week to remove toxins and calm your digestive system. During the final three days, you build the body back up with a series of beautiful bliss treatments. Panchekarma restores balance to not only your physical but also your mental and emotional bodies. My favorite of the bliss treatments has always been shirodara. It is a relaxing treatment where warm oil is streamed onto the forehead and specifically, the third eye continuously for about twenty minutes. It is said to relax the nervous system and open your third eye or “second sight”. I have had this treatment a number of times but something unexpected happened one May morning in 2012. I relaxed and focused on my breathing as Patricia began to stream the oil onto my forehead. Suddenly, I felt expanded and in another dimension. It is as if I expanded outside of the physical confines of my body. It felt as if I was moving thru time and space. At times, I was floating and filled with such peace. After a while, I had a knowing that I was within the womb. I felt totally card for and held. It felt familiar. Next, I was being born. It was dark and difficult as if the transition from the womb to the world was also a transition from expansiveness to concentration of soul and spirit into the physical body. I felt as if I was returning. Finally, I was in a space before my birth- in a space, in space, in a sea of all there is, of Source. It was deep blue and purple and black like the night sky. This was the potentiality of the cosmos. This was the primordial space where we swim in peace and love before and after our incarnations. There were no bodies in this space yet I was somehow still myself- my essence was the same as it is now. There were an infinite number of points of light. I believe I was one of them but could not appreciate my own form. I had no worries of money or disease. I did not miss my life or have any regrets. Time did not exist and yet the potential for all creation floated there. There was a unity, a one-ness and still there was some differentiation because I continued to feel my own essence. In this space there were an infinite number of gossamer threads of Love- energetic threads. They weaved thru this space like a gorgeous cobweb. Many threads linked to me. Those threads felt familiar. Thru these threads, I was connected to the souls that have travelled with me and loved me thru eternity- my parents, my husband, my children, my friends. These threads were glorious and provided such comfort in an already wonderful ocean of love. Two of these threads seemed to be calling to me- urging me to embody and return to earth. 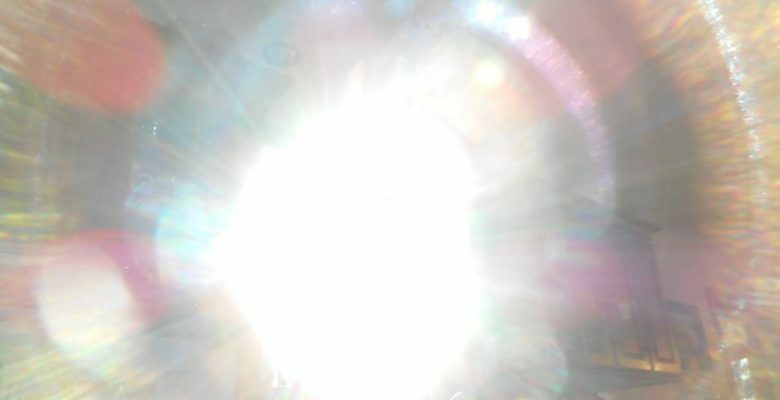 There were no words yet information and knowing passed thru these threads of energy and light. I understood that their LOVE was calling me and yet it was up to me to decide if I wanted to transform from pure energy/essence to physical form. I also had a knowing that it was in physical form- when the soul embodied form- that a certain type of creation and growth was possible. From this beautiful potential space that lies beyond words, I returned to the room where Patricia was finishing up my shirodara treatment. Overwhelmed with emotion, I asked Patrician how much time had passed and was amazed when she told me “17 minutes”. It felt as if I had been travelling for a lifetime. The lessons imparted to me from that space were beyond language. I struggle to find words for what it felt and looked like there. A quick Google search produced numerous images on the Internet for Indra’s net as well. They are beautiful and so similar to my vision It is also interesting to note that contemporary physicists are in general agreement that this ancient metaphor is indeed a good description for the universe. Eden Phillpots said, “The universe is full of magical things patiently waiting for our wits to grow sharper.” Open your mind, even for a few minutes, and tap the wisdom of the collective consciousness available to us all. Wonder and be amazed. Your presence here on Earth at this moment makes a difference. The choices you make in each moment affect the net, and therefore affect all others in large and tiny ways. A soul family surrounds you. The beginning of remembering is the recollection of your own divinity. Awaken and know we are that thru which Source creates. As a species we have fallen asleep. We have forgotten how we were called by and for love. We are meant to remember this space and our potential. The way to begin is to trust. When you let go of the plans and limited vision for how you think your life should look, the Universe swoops in and opens up your vantage point to include a perspective you could not before imagine. Dare to dream bigger. « Spring Cleaning for your Soul. “Learn to die that you may begin to live.” You are very fortunate. Do find a competent guide to steer you through those uncharted waters. Agreed Jim- so, so important. I am truly grateful that I have a teacher- Master Mitchell Gibson. Thank you for your wisdom and insight as always! Thank you Immortal Goddess Aveen Banich. I look forward to reading more of your Divine Experiences. You are a true inspiration of Higher Consciousness in the flesh. Dear Aveen, Thank you for sharing this powerful and intimate experience. You’ve so beautifully expressed what is ultimately beyond language, as you said. How fortunate you were to have this wondrous experience! In 1972 I had the experience of looking out our living room and suddenly seeing that everything was made of sparkling light. I could still see the sky, the clouds, the water the trees,and the grass, but these were all secondary and the primary thing was that every thing was made of sparkling light with little nods of light all connected by lines of light. I stood there looking out the window and had no sense of how much time pasted but had the thought that I am made of that light too. I realize now that this was a gift of divine vision. After this experience It took about six months before I was completely stabilized again. I had many visions of being out in the cosmos and then swinging back down into my body. I now realize in this experience I threw off life times of stress and what a blessing the whole experience was. At the time I didn’t think so as I was left so fatigues that I resigned my teaching position at Queens university and my family wasn’t sure what had happened to me as I struggled to regain my energy. Thank you Aveen so being so articulate in describing your experience.